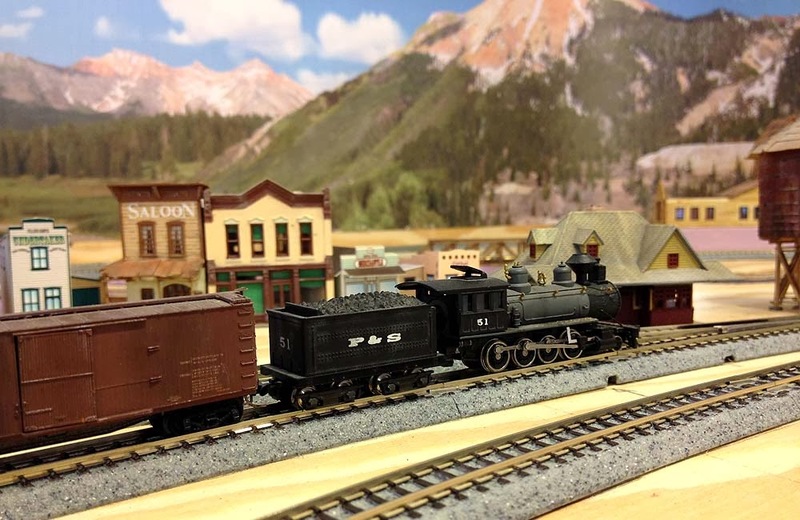 Greetings from N scale Colorado! A backdrop sure does help set the scene. With the benchwork finished and the Kato Unitrack in place, the next project I wanted to tackle on the P&S was the backdrop. It's much easier to install a backdrop at this stage and having one in place early on really helps set the stage for the scenery to come. For this project I designed my own backdrop in Adobe Photoshop, blending together several photos taken on trips to southwestern Colorado. 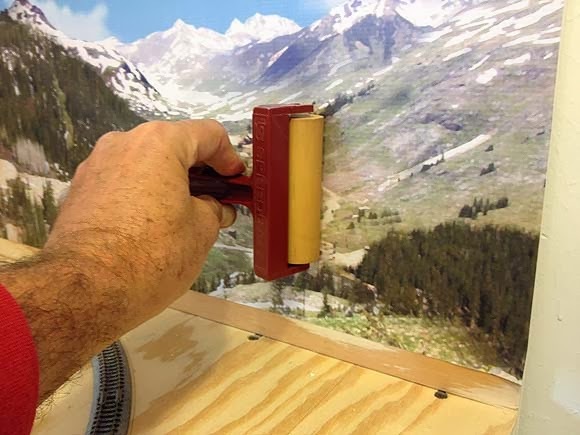 Sharp eyed rail fans might be able to pick out a few well known narrow gauge landmarks like Red Mountain, Animas Forks and Lizard Head Pass. This is the complete backdrop created for the P&S. It measures 15" x 90" and curves around two sides of the layout. Once the design was complete, I sent the digital file off to be printed by a commercial firm that specializes in banners for trade shows and point of sale. It was printed on 13oz vinyl scrim making it waterproof and durable; important considerations with the scenery as yet unbuilt. Turnaround was fast, and the entire cost was much less than commercially available backdrops. 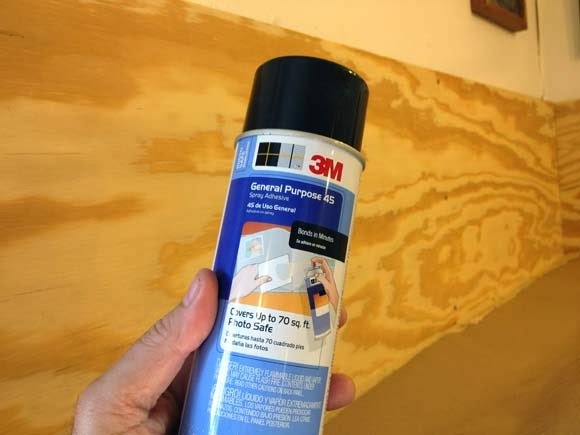 An even coat of 3M General Purpose 45 spray adhesive was applied to the plywood backdrop supports. Brown kraft paper was taped down over the layout and over anything else that I didn't want coated with glue. With the glue nice and tacky, I rolled out the backdrop, lining up the top edge with the top of the backing board. Rolling out about a foot at a time, I used a brayer to insure good adhesion and to work out any air bubbles. The backdrop was designed 2" shorter than the backing board. This causes a nice, natural curve or cove in the backdrop when glued into place. No further support for the curve is necessary. Getting the entire backdrop installed took a little less than an hour. (In fact, it has taken longer to write this post about it than to actually do it!) I'm really happy to have this done because it already adds so much to the railroad. While I was waiting for the backdrop to arrive from the printer, I went ahead and started roughing in the scenery around what will become Wolf Creek Canyon. Soon a high country stream will cascade through this canyon. 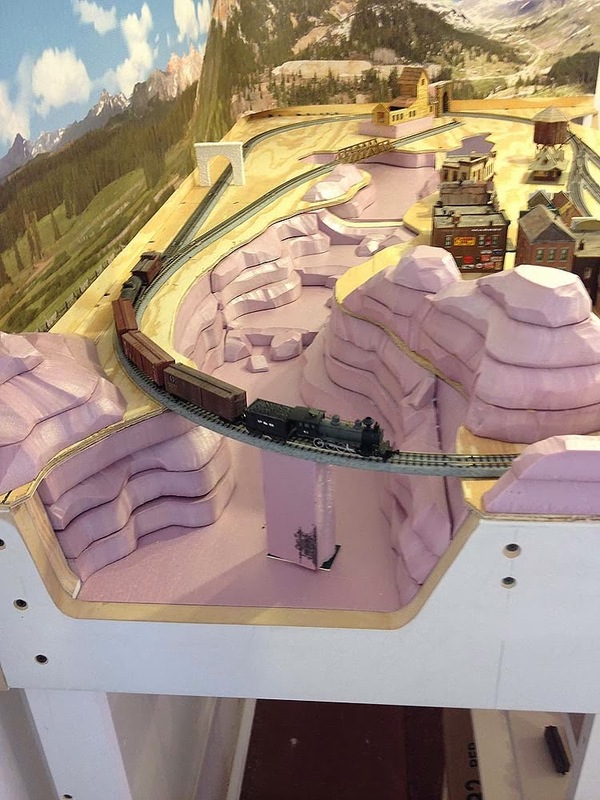 The scenery forms are carved pink Polystyrene foam insulation. The section of Unitrack over the gorge will be replaced with a scratch-built trestle. 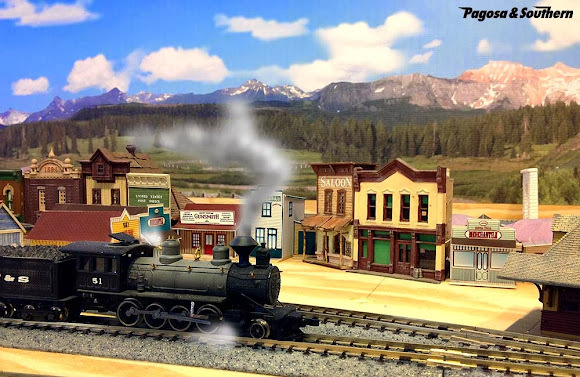 Well, that's about it from N scale Colorado! Thanks for checking in. More progress across the aisle in On30 Thunder Mesa Country coming real soon. Adios for now! Well done. I have an Apple PC but no photo shop software. I'll have to get the program. I keep learning with each post. Thanks. Love the idea of getting the background printed on vinyl, and especially getting it in place so early in the construction. Even with the bare timber benchtop, it really makes the layout look much more complete. Thanks for the comments. Ted, Photoshop is expensive software and can take awhile to master. Unless you're using it professionally I might recommend the lighter and less expensive Photoshop Elements. It should do the job for you. I was wondering about that. I had planned on an older version from eBay but didn't know which would offer the capability I need. Thanks for offering that suggestion. This site chronicles the design and construction of the Thunder Mesa Mining Company, an On30 (1:48 scale) model railroad. The TMMC is a freelanced railroad representing a fictional prototype for the Big Thunder Mountain Railroad attractions at Disney parks around the globe. Unlike the park trains however, the TMMC is not a roller coaster. Instead it attempts to represent what such a railroad might have been like in the real world, before unseen and sinister forces sent those little trains careening out of control through the desert. Now, hang on to them hats and glasses, 'cause this here's the wildest ride in the wilderness! 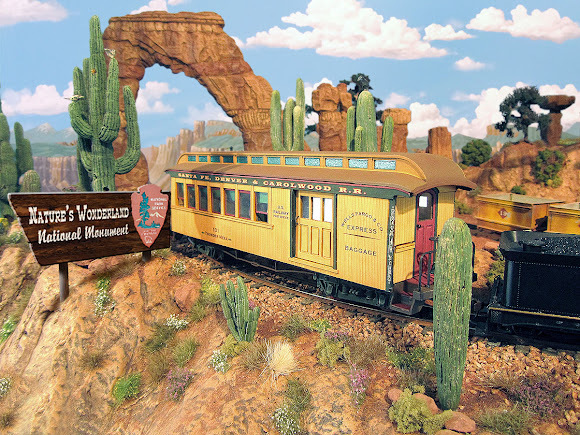 Nature's Wonderland, Teddy Roosevelt and the Thunder Mesa Mining Co.
Visit the Nature's Wonderland model! At Walt Disney's Barn! A New Post! HISTORIC - RARE - MINT 1957 Disneyland pass handwritten & signed by Walt Disney! THE ATTRACTION POSTER BOOK IS HERE!!!! © David Meek 2012 - 16. Not affiliated with the Walt Disney Company or its subsidiaries. Simple theme. Powered by Blogger.